The seminar will focus on general features of Achille Marozzo’s system, investigated through the understanding of the teaching contained in the three Assalti. Those are the forms composed by the master, interpreted and executed as solo forms or paired application, contained in the third book of “Opera Nova” (1536). During the seminar we will also underline the link to the previous Italian masters (especially to Pietro Monte, but also Vadi and Fiore) as demonstration of an unbroken tradition in the use of the two handed sword and in the general understanding of the martial arts principles. The workshop will follow the Marozzo’s interpretation developed and constantly revised and updated by the Italian school founded by M° Roberto Gotti 25 years ago; which now gathers several instructors with common approach and is active in Brescia, Torino and Milano. Mandatory Equipment: two handed sword (federschwert), mask and gloves are required. Heavier gloves and jacket are recommended for sparring and high intensity application of the techniques presented during the seminar. 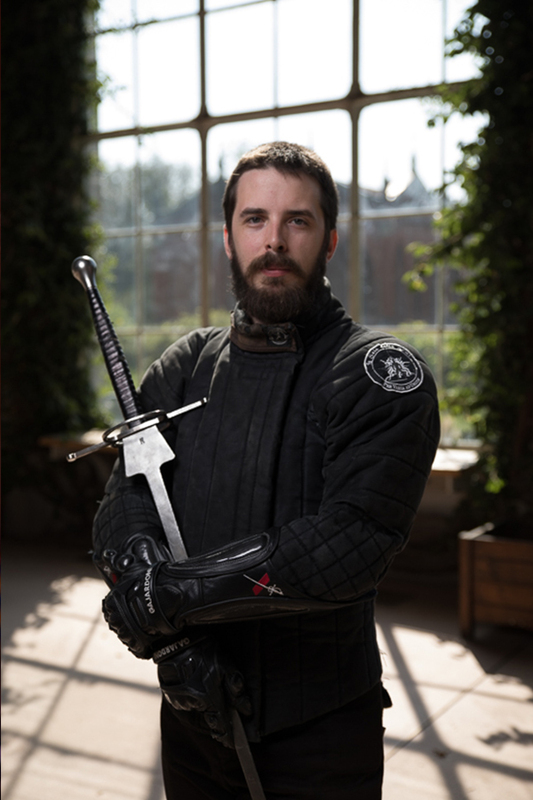 Jacopo Penso is an italian HEMA instructor. He is graduated in psychology, and started historical fencing in 2006, after some years of Judo practice. In 2011, he founded the club “La Sala delle Armi” a martial arts club in Turin and from 2013 he is among the organizers of TaurHEMAchia, one of the main HEMA event in Italy. After some years of studies on Italian and German authors from the XV century, in 2015, he met and started working with Master Roberto Gotti, international expert in renaissance Italian fencing and collectors of original weapons and treatises on European art of fighting. Jacopo became his student, focusing on Achille Marozzo’s teaching and the Italian tradition. The collaboration with Roberto and other instructors from Brescia like Moreno dei Ricci and Alessio Gaffurini bring life to the School project “Opera Nova”, officially created in 2018. In 2015, he achieved the first level certificate from AIMA (Italian Association of Master at Arms). In 2018 he achieved the title of Maestro for the historical fencing recognized by Italian fencing Federation FIS. He is currently member of the Council of AIMA and SPADA (Society for the Promotion of “Arte delle Armi”). As instructor, he has been invited in several events as guest teacher. In Italy he teached in Rome, Turin, Neaples and Urbino; internationally he has been invited to teach in Chicago, Helsinki and Montpellier. He also assisted M° Roberto Gotti in official demonstration (in Algeria, Switzerland, and recently in Hong Kong) and in several seminars both in Italy (Urbino, Turin and Rome) and in France (Dijon, Montpelleir and Tours). As athlete, he arrived first in longsword at the 2018 HEMA Champioship by CSEN and he is currently among the three best italian fencers in longsword. He fought in several competitions including Swordfish, AIMA Roma, TaurHEMAchia, Brisia HEMA, Fecht BA and HEMA Villenueve, conquering a total of 9 gold, 8 silver and 6 bronze medals.